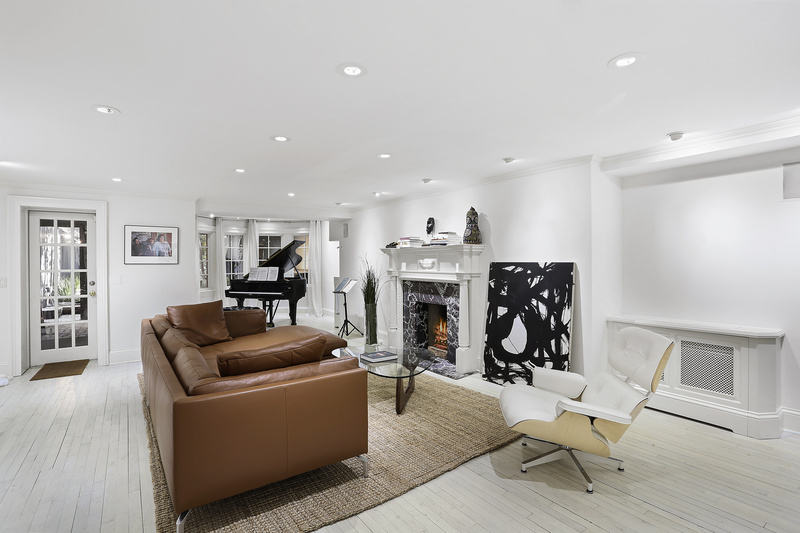 Enjoy the finest in West Village living in this expansive, light-filled townhouse offering four bedrooms and a multitude of outdoor spaces on a quintessential tree-lined Village block. Be home at 112 West 13th Street. Abundant architectural features run throughout this exceptional 4,256-square-foot historic home. Beautiful millwork, including baseboards, molding, trim and built-ins, line every room. There’s a grand central stair and etched glass windows, and several handsomely carved stone fireplaces set an elegant and inviting tone. At the rear of the 20-foot wide residence, a rare three-story bay expands living spaces and amplifies sunlight on every floor. 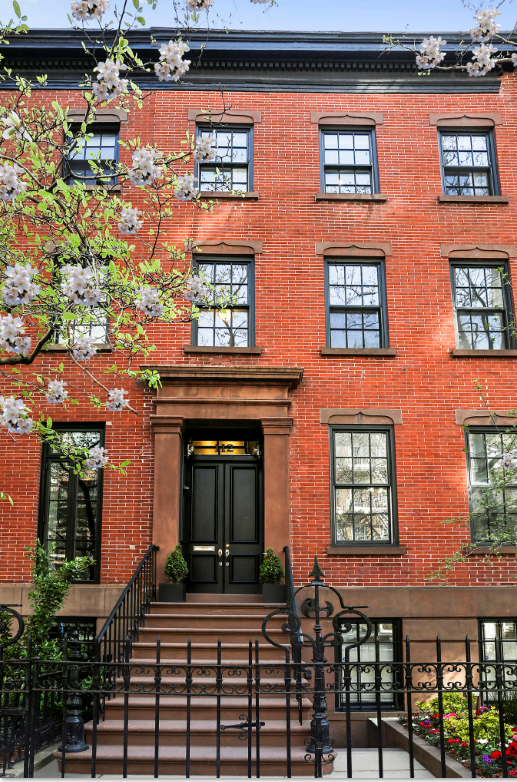 Enter the parlor level vestibule to find classic townhouse reception rooms and flow. Pocket doors open from the hall to the large living room, and another set of double doors ushers you into the grand open kitchen and dining room lined lush backyard views. A large deck here invites al fresco dining and mornings spent with coffee and the newspaper, while below, the large south-facing yard will have you planning your next barbecue or vegetable patch. 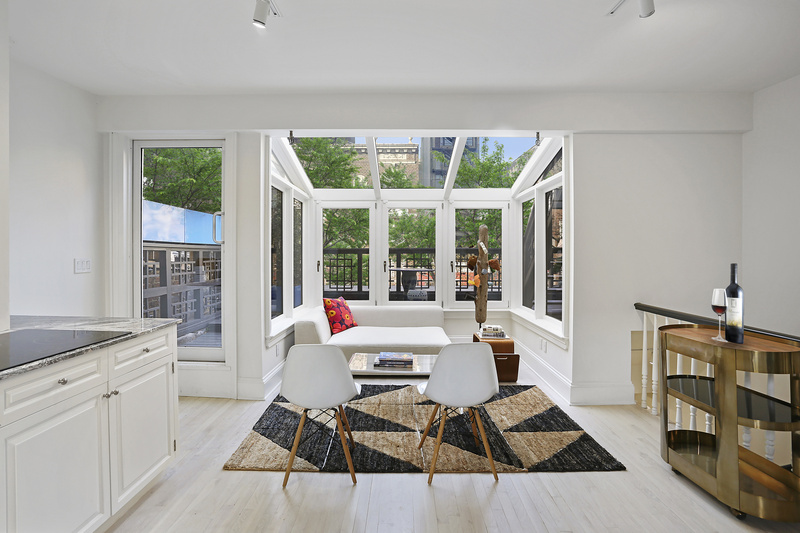 At the garden level, you’ll find a second spacious living room with patio access, a wet bar and powder room, while the first of four bedrooms enjoys access to a private entrance. Above the parlor level sit two floors of private quarters, including three bright and oversized bedroom suites with large closets and en suite baths. One suite boasts a private terrace overlooking the rear yard, and another bedroom includes a fireplace and massive walk-in closet. 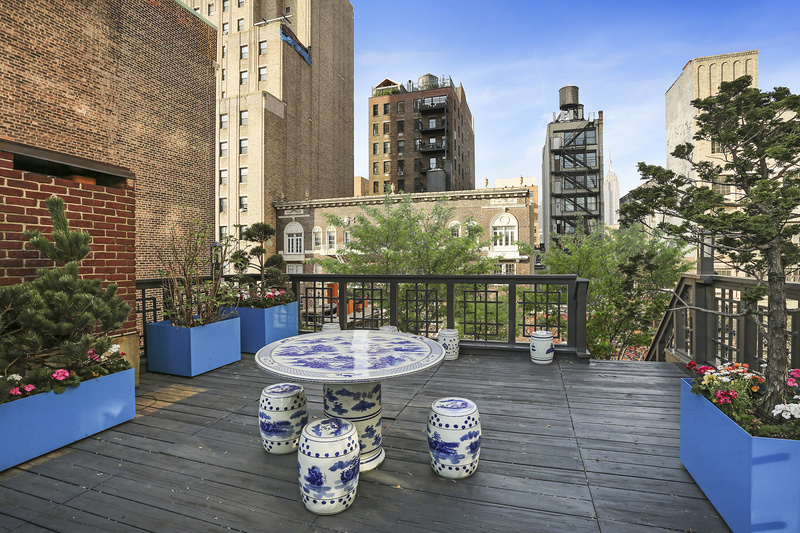 The top floor is a sun-filled retreat with atrium windows, a powder room, wet bar and two terraces, making it the perfect artist’s studio, home office or playroom, while above, this fine home is crowned by a 19’x 19’ roof deck. 112 West 13th Street is a classic Greek Revival brick row house with a characteristic detailed cornice and distinctive carved stone window lintels. 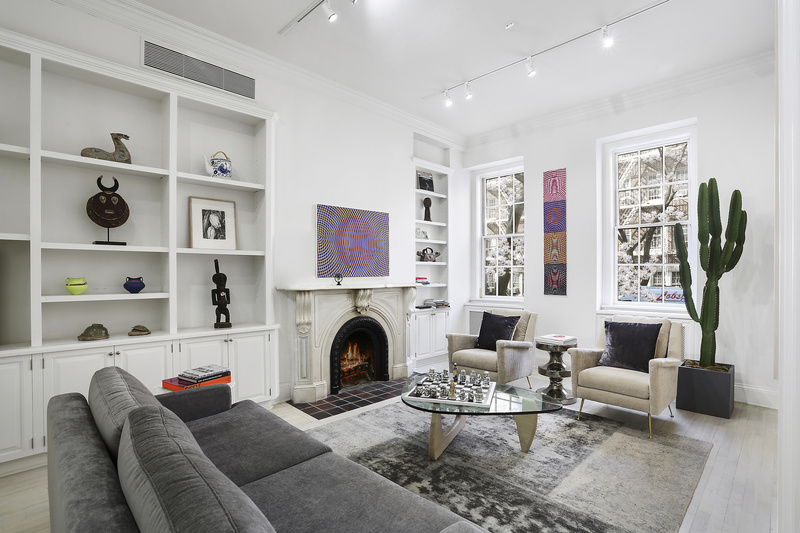 The home is one of three survivors of the original row of five townhouses constructed in 1844 by the seemingly unlikely partnership of a Wall Street attorney and a butcher. 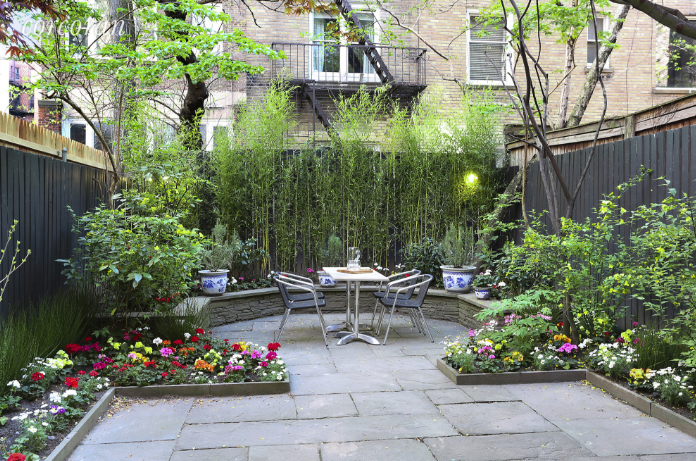 Located on a quaint and quiet block within the Greenwich Village Historic District, the home is at the center of one of the most coveted residential enclaves in the world. 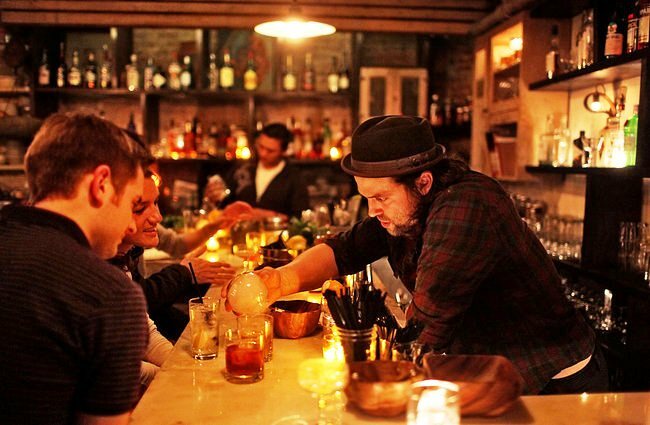 The world-famous dining and nightlife scene of the West Village and Meatpacking District unfolds nearby, and remarkable outdoor spaces, including Washington Square Park, Union Square and the High Line, are mere minutes away. Transportation options are abundant in this accessible neighborhood with B/D/F/M, L, 1/2/3, A/C/E and PATH trains all within easy reach.